Protesters hold up mock solar panels, with the Reid Gardner Coal plan in the background. The Reid Gardner facility's toxic emissions not only contribute to climate change, but also directly affect the health of the Moapa community. Photo from Sierra Club. 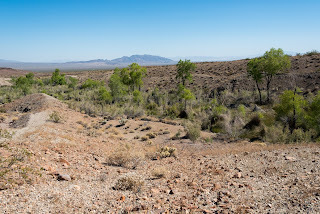 The demonstration march held on Saturday symbolically walked away from the coal plant, and ended up at the site of the future K Road Power Moapa Solar project, which will destroy over three square miles of intact desert habitat to produce roughly 350 megawatts of solar energy using the same photovoltaic panels that can be installed on rooftops and already-disturbed lands. The power from the K Road Moapa Solar project will be sold to the Los Angeles Department of Water and Power, whose customers live nearly 300 miles away. 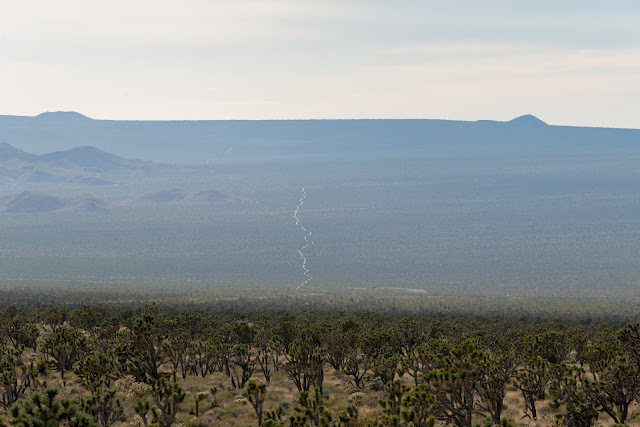 K Road's lack of regard for proper siting should come as no surprise, since the company is also negotiating with utilities to revive the Calico Solar power project, which is opposed by environmental groups because it will destroy important desert habitat in the central Mojave Desert. The project's proponent, New York-based K Road Power, assembled a team of utility-scale energy financiers and developers from Barclay Bank, Goldman Sachs, and Sithe Energies. K Road's Chairman founded the latter company - Sithe Energies - that is now constructing the 600 megawatt Mariveles Station coal power plant in the Philippines, a country that Sithe lauds for its regulatory framework (or lack thereof). K Road's Chairman probably also benefits from a new 850 megawatt natural gas plant in Canada, a hydropower dam along the Nile River in Africa, and plans to build a hydropower dam in the remote tropical forests of Guyana. Sithe pats itself on the back for choosing a remote site in the forest because it requires "no resettlement of people," according to its website. Such a high corporate standard. 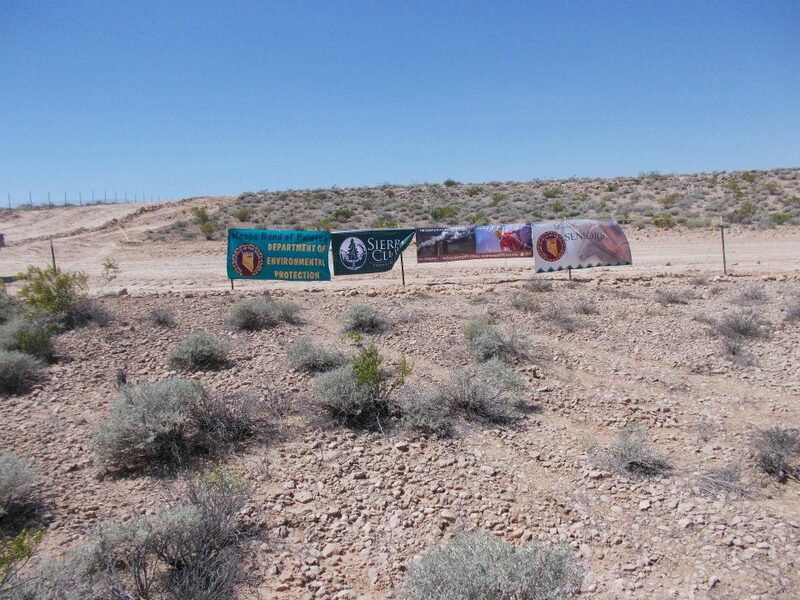 Banners of organizations and communities represented at the Coal to Clean Energy march hang on a fence designed to keep Federally-listed desert tortoises out of habitat that will be bulldozed for K Road's Moapa Solar project. Construction crews have already cut or widened access roads on the site, as seen in the background. Photo from Sierra Club. In addition to the three square miles of the Moapa Reservation that will be developed by K Road, the Bureau of Indian Affairs is also evaluating plans to build the Moapa Solar Energy Center, which would destroy another 1,000 acres - just under two square miles. 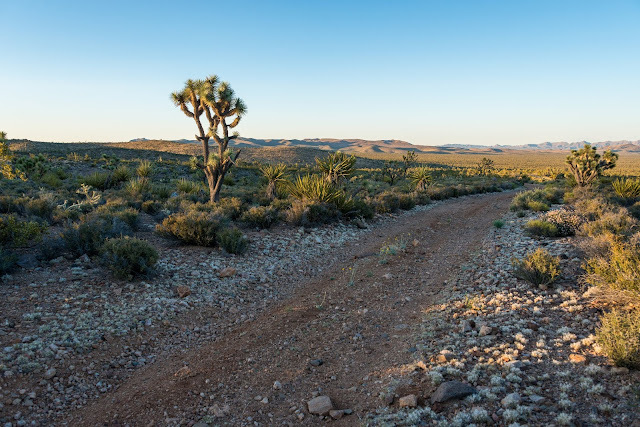 The projects will certainly provide financial benefit for the Moapa community, but the destruction they will cause is not necessary to close down Reid Gardner, or to provide clean energy. 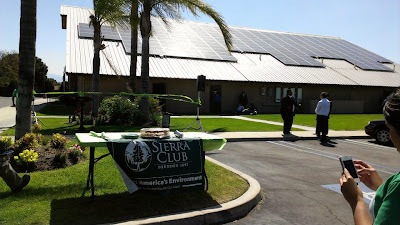 On the same day that the Sierra Club visited this 2,000 acre swath of desert destined for the bulldozers, Sierra Club's My Generation Campaign celebrated a new rooftop solar installation in Bloomington, California. Earlier last year, the Sierra Club also released a study indicating that the Reid Gardner Coal plant could be shut down if Nevada utility NV Energy invested in energy efficiency upgrades, which would also save Nevada ratepayers $59 million dollars over the next 20 years, and not require destruction of intact ecosystem for a new power plant. On the same day that the Moapa band of Paiutes celebrated construction of the K Road Moapa Solar project on desert habitat, the Sierra Club's My Generation Campaign gathered to welcome one more rooftop that is no longer wasting the sun's energy. This rooftop solar installation joins tens of thousands in California, with many more to come. Photo from the Sierra Club. 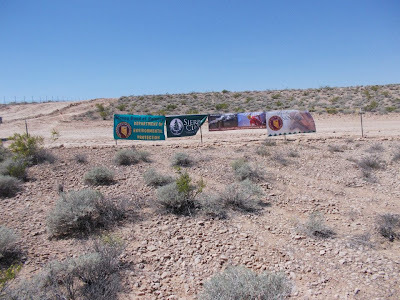 “The Paiutes are leading the way with the Moapa Solar project that will soon break ground and create good jobs for the families that live right here in the Reservation. 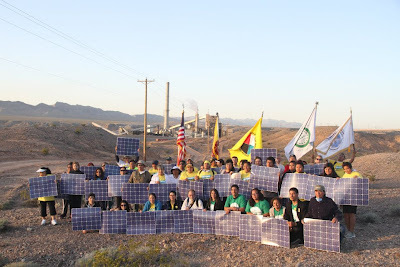 Today’s march from the Reid Gardner coal plant to the future of site of the Moapa Solar Project represents for all of us a new coal to clean energy path for not only Nevada, but for the entire West to follow." We are indeed breaking ground, but destruction of intact habitat is not the right path to follow. Just north of Interstate 15 on the Moapa Reservation, the K Road Moapa Solar project (footprint outlined in red, above) will destroy over three square miles of Mojave habitat. 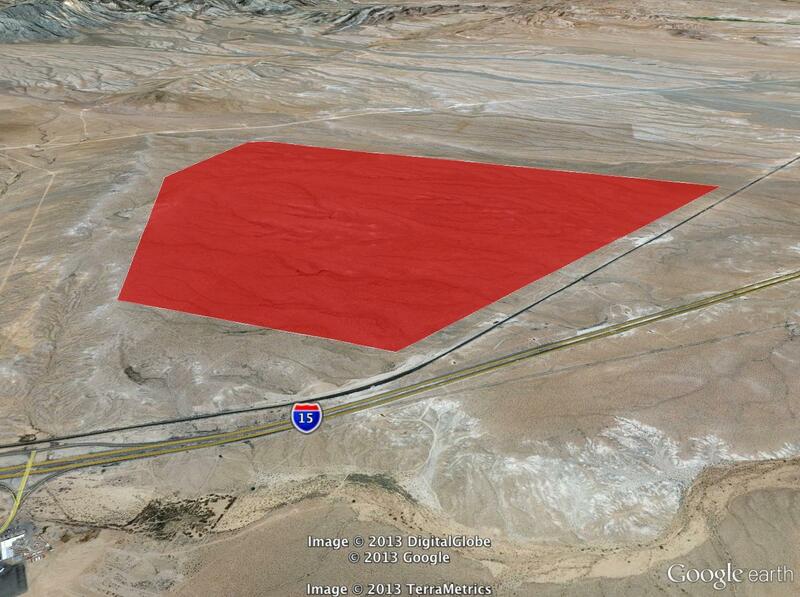 The RES Moapa Solar Energy Center currently undergoing environmental review will be built nearby. We won't save the earth by destroying it! Thanks for your efforts, Shaun.